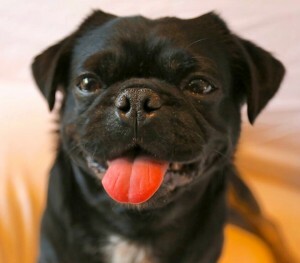 Are You Considering Adopting A Pug? Dogs really can be our best friends (way better than diamonds, and I like diamonds). 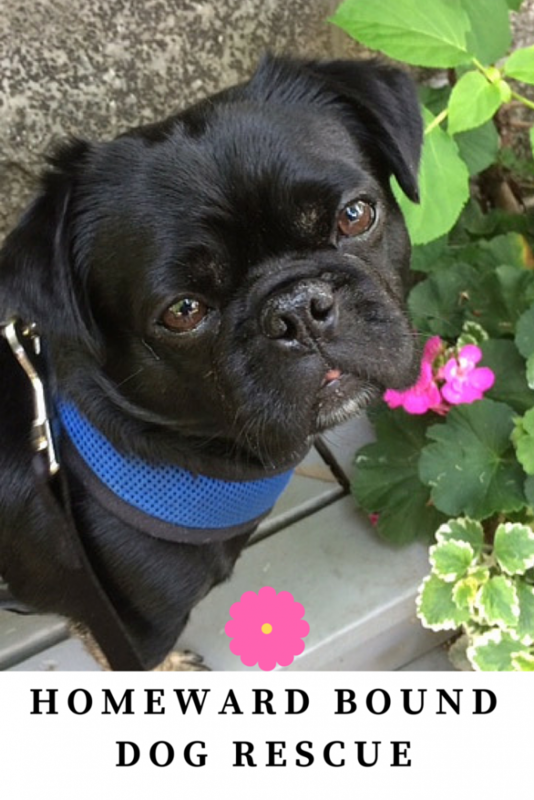 Adding a dog, especially an adorable pug, to your family can change your life for the better. I know this because I adopted Kilo the Pug after fostering him for several months in 2014. However, just because you may want a pug, it is still important to make sure that a dog is right for you and your lifestyle. Just because you see a breed like a pug looking cute on social media or TV, it does not mean that a pug is the right breed for you. We believe a lot fewer dogs would end up in shelters if people did their research and understood that dogs are a tremendous responsibility and that every dog is different. They rely on their owners each and every day. Apparently, my rescue Kilo the Pug started out with an elderly couple who did not understand that all puppies need vet visits, attention, exercise, and training and make mistakes. I guess they expected a cute chill obedient little cuddler. Kilo is very cuddly and sleeps a lot but is quite demanding and has bursts of energy. Pugs can be quite hard to toilet train and are usually very food motivated and need love and attention. They quickly realized they could not cope and handed him off to a teenager who was equally ill-prepared. He went through 4 homes before us and ended up with severe behavioral issues that possibly could have been avoided or at least mitigated. 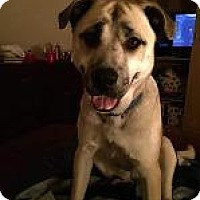 Here are a few questions you should consider before adopting a furry BFF like Kilo into your family. 1. What kind of family do you have? All dogs require a lot of time and energy, pugs especially. Make sure you have a supportive family who is willing to love, care for and contribute to the dog together. Do you travel, work all day and stay late? Who will take the dog out or babysit? Making sure you have a support system within the family will help both of your adjust to life with a pug easier. Pugs are people dogs who love to be with their family. They are known for being affectionate and love to cuddle. 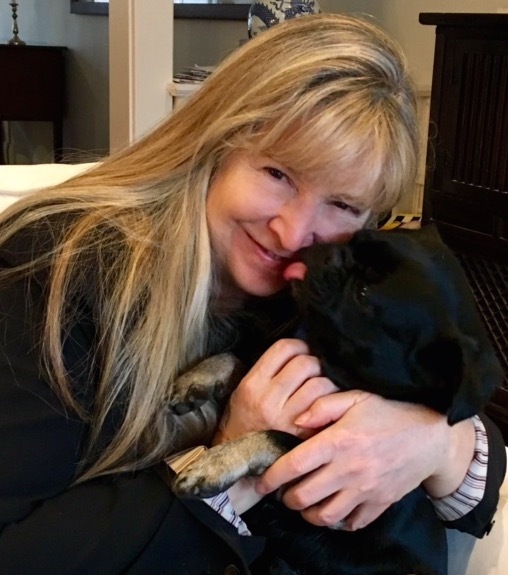 Ask yourself will you have enough time to dedicate to your new pug, especially if you get a puppy? 2. What breed is suitable for you? Pugs are known as being affectionate dogs who love their families and lots of attention. They also come with medical expenses, shed like crazy, can be difficult to train and can be greedy when it comes to food. Each breed has different characteristics and requirements, especially in terms of physical activity, attention, and training. Ask yourself what you enjoy and have time for. Before adopting doing lots of research is best. You can attend meetups, visits shelters, talk to other pug owners and breeders too to learn more about the breed. Each breed has different characteristics and requirements, especially in terms of physical activity, attention, and training. Ask yourself what you enjoy and have time for. Before adopting, doing lots of research is best. 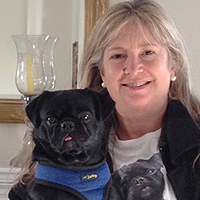 You can attend meetups, visits shelters, talk to other pug owners and breeders too to learn more about the breed. Check out Talent Hounds Breed Library for more information. 3. How old is the pug you would like to adopt? If this is your first dog, perhaps consider adopting an older one. Older dogs are more available as they are less likely to be adopted at shelters, mainly because people prefer puppies. They are also usually already house trained and less destructive/high maintenance which can be easier for the owner. Pugs often live 13 to 15 years so you must be prepared to share your life with your new friend and care for them for over a decade. 4. Do you have the budget for a pet? Food, supplies, training, and veterinary bills add up- often to hundreds (or in the case of illness or accidents, even thousands of dollars). Dogs need to stay up-to-date with their vaccinations and must be tested for diseases such as heartworm. If you don’t have the budget for a dog, now is not the right time to adopt. Like all breeds, pugs may face some health issues, like hip dysplasia, eye disease, patellar luxation, and Pug dog encephalitis. Some dogs may be faced with these health challenges in their lives, but the majority of Pugs are healthy dogs. Pugs also live to eat. But you must be very careful as they age to monitor their diet and only feed good quality dog food to maintain their health and keep them slim. 5. Are you dedicated to socializing and training your dog? Pets, especially those who are adopted, each come with their own set of challenges. Proper socializing, training, attention and care can help any dog. This will teach your pet to be comfortable around other dogs, people, cars and general life outside of the home. No dog, bought or adopted, is perfect. Pugs have average energy levels, often in bursts, and are known to be mischevious. 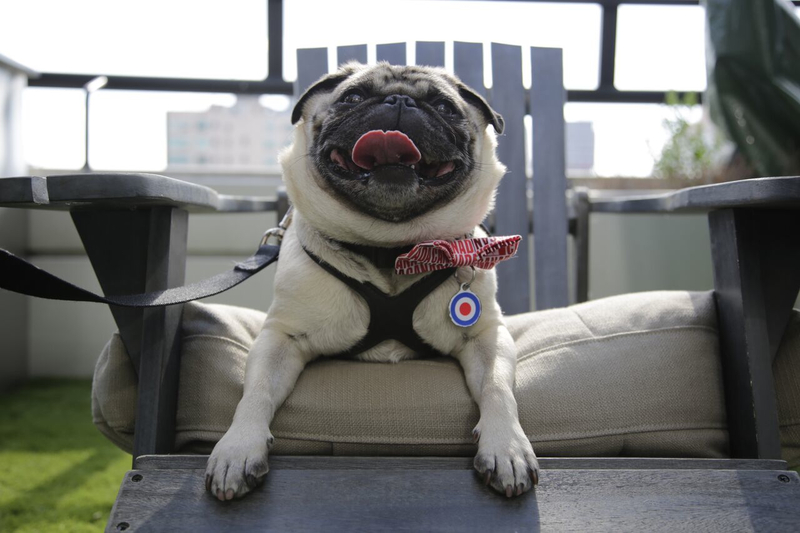 You’ll want to make sure your pug is both mentally and physically stimulated to keep them from being bored and destructive. Dogs can’t just wait until it is convenient for you to take care of them. If you will be gone from the house longer than 8 hours, you will likely need to make arrangements for someone to come home to let the dog out. Pugs are a small breed and shouldn’t be expected to hold their bladders or bowels for longer than 8 hours. Pugs also require regular weekly brushing and the occasional baths to keep them clean and looking their best. Their strong fast-growing nails should be trimmed regularly to avoid overgrowth, splitting and cracking. Their ears should be checked regularly to avoid a buildup of wax and debris and teeth should be brushed regularly. If you want a furry friend in your life, be prepared to maintain a consistent schedule. The same goes for training. If you want your dog to be well trained, make sure to be consistent with training methods. 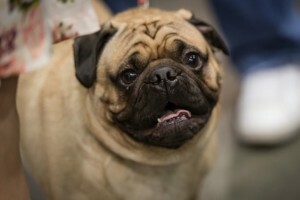 Pugs are also one of the most commonly stolen breeds of dog. Sadly, they are often stolen to be used as bait in dog fighting rings. That means if you adopt a pug it requires constant supervision at all times when they are out of the house. 7. What size is your home? If you’re living in a one bedroom apartment you’ll need a dog that can be comfortable or who can acclimatize to that space. You’d be surprised by how much space a dog needs differs based on their breed. Many small dogs need lots of space to roam while some of the largest breeds are happy in smaller spaces. Pugs are comfortable in small apartments because they need minimal exercise, but the breed can adapt easily to all situations. However, pugs are not outdoor dogs and cannot survive living in a dog house including the garage. They must live within the house with the family. 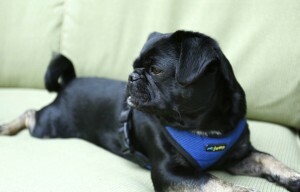 Temperature is also a huge factor, pugs thrive in moderate climates—not too hot, not too cold. If you have a pool or pond, it must be fenced off so that the dog cannot get into in. Pugs can drown rapidly since most are not always the most water smart breed or best swimmers. 8. Can you get the animal neutered or spayed? Neutering and spaying helps to control the pet population. This treatment also contributes to the overall health of your pet. Some shelters will do this for you as a part of their intake program. Otherwise, it is another expense you will have to consider. 9. Will this be the right choice for the dog? Don’t make a decision to adopt a dog based solely on emotion. Pug puppies are especially adorable, but the commitment to adopt is for the dog’s entire life. Think rationally about what is best for you and the dog. Many dogs end up returned to shelters or rescues because the family grows bored of the dog or no longer wants the responsibility. That’s why we suggest lots of research and carefully consideration prior to adopting. 10. Is fostering an option? Plus if you happen to fall in love with each other you can always adopt your foster. In fact, Kilo the pug is my foster failure from PugALug Pup Rescue! Feel like you fit the criteria? Fantastic! Feel free to ask any other questions below! You learn some amazing life lessons when you open your heart and home and adopt a pug. As the summer holidays end, and kids go back to school, many people are ready for a new routine and perhaps a new family member. Why not rescue a dog in need and save a life this year? 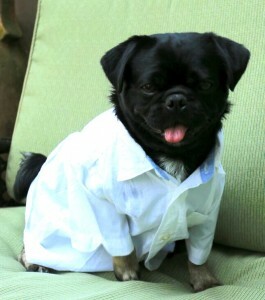 My rescue pug Kilo, from Homeward Bound Rescue, has certainly changed my life for the better. We found each other in August two years ago and I couldn’t image life without him now. However we have both had to adapt and have taught each other a lot. Just like people, animals have different personalities and needs. Certain breeds tend to have certain characteristics, but then within the breed, they can vary enormously because of nature and nurture. Pugs are such a lovable, loving, funny breed but I do find them quirky. They do need a lot of attention, they like to be on the couch or your lap and they can tend to weight gain or get hot easily. I started out fostering because I have always had rescue dogs my whole life, but had never had a pug or other squishy face breed. Read more about what to expect from a Pug Here. Kilo does not appear to have been socialized well as a puppy so he is not a typical sociable pug with strangers or other dogs. Pets are not usually inherently “bad,” but may have had a rough beginning in life that caused some behavioural issues. We are working on Kilo’s and I have learned a lot about positive training and socialization. When you adopt a pug, not only are you probably saving its life, but you also give a chance to the one who will take its place in the rescue, shelter or foster home. Until every pet has a loving home, adopting is a great option. Caring for, training and showing a pet love can teach empathy, patience, and responsibility. The special love of a rescue can transform your life. Rescue dogs have had great success in programs with prisoners and youth, showing how life changing the love of a dog can be. Pugs can be a particularly loving and affectionate breed, breaking down emotional barriers. Nothing like pug hugs from Kilo when I walk in the door or cuddles if I am stressed. Plus he gets me up off the couch or away from my desk regularly to walk or play with him or do training sessions. Not only can pets give you unconditional love, but they often greatly improve your mental, emotional and physical state. By having a companion animal, especially a pug that you walk and cuddle and even talk to, you are never alone and are forced to get out and try new things. This can be very beneficial for those who may feel isolated. With patience, training and lots of love, your rescue pug will learn to trust you and you will have a best friend by your side.. all the time.. even when you go to the bathroom. I call Kilo my velcro dog. Many former shelter pets and rescues become therapy or service animals or may become heroes, like search and rescue animals or PTSD Assistance Animals with K9s for Warriors. Pugs can make great therapy dogs reading with kids or visiting seniors. They can also alert to danger. Scientific research shows that looking at and petting dogs can increase hormones that improve moods and reduce hormones associated with stress levels. 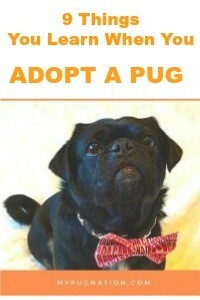 So, learn to take a deep breath and adopt a pug! Patting Kilo’s soft head and looking into his big eyes help me. 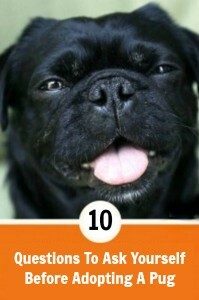 Pugs have naturally slightly comedic exaggerated features which make many people smile. Kilo is VERY affectionate and also likes to do tricks and make me happy. Having a daily routine that includes many walks is a great benefit of owning a dog. Your body will thank you for the extra exercise and daily adventures. Research in Australia showed that dog owners got more exercise than non-owners. I have learned a lot about diet, nutrition, and exercise looking after Kilo the Pug. It has made me more active and in tune with my own health. The most important thing in life is to value it. Rescued pets are great for reminding us that a few of the best things in life we may take for granted, like the love of your family and a roof over your head, good food, health and maybe a cuddle. Many rescue dogs come from rough situations, but that doesn’t define them. They don’t hold grudges (though some may be fearful). The best lesson you will learn is that with lots of love and positivity, anyone can change. We can all learn to forgive, to forget, to trust and let go of past pain. Is your Dog A Rescue? Share Your Stories Below. 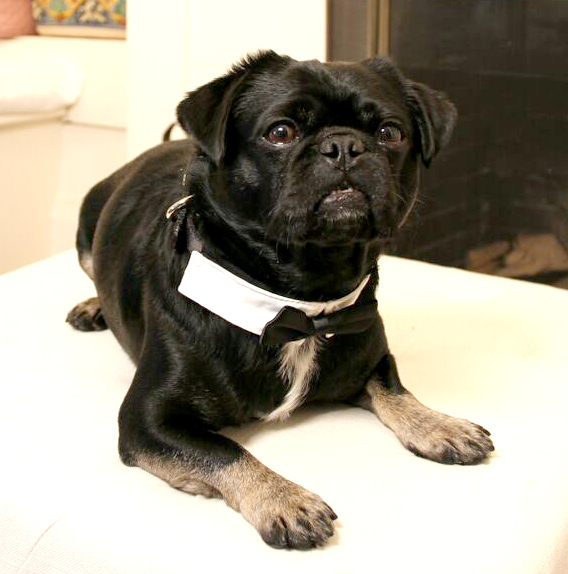 Located in Ontario, Canada, Homeward Bound Dog Rescue helped to save the life of resident Pug-In-Charge, Kilo. Homeward Bound specializes in brachycephalic breeds like pugs and bulldogs who may have different needs than other dogs due to their short nasal cavity and sensitivity to heat. The rescue is run entirely by a dedicated team of volunteers who want every dog to find their forever home. Each dog in the program is housed with a foster family to reduce feelings of abandonment and fear that a shelter environment can create. This is especially true of pugs, like Kilo, who were bred to be companions and become very attached to their owners. Dogs are showered with the love and devotion that they deserve, which helps bridge the gap between their old life and their new homes. Medical expenses, shelter, and food are all provided to the dogs by donations from generous supporters. Every cent donated goes directly to the animal’s care. Potential adopters are screened carefully so that each dog is placed in its perfect home. Nothing is overlooked when it comes to the animal’s happiness and well-being, and that makes Homeward Bound a great rescue to support. Could A Rescue Dog Be a Good Addition to Your Home? Rescue dogs are full of love and ready to become your companion. Adopting an animal saves it’s life and makes room in a foster home for another dog to be saved. Check out our Questions to Ask Before Adopting A Dog and Do Your Research. Should You Foster A Rescue? If you are not ready to make the commitment to many years of pet ownership, fostering an animal is another great choice to be involved in pet rescue. I started out fostering Kilo after my last mixed breed rescue dog Isabelle passed away at 16 years old because my daughter wanted a Bulldog or Pug over the summer but I was not sure about the squishy faced breeds. I decided to make him a part of the family when she went back to university. Check Out 13 Questions to Ask Before Fostering a Dog on Talent Hounds. 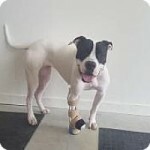 Learn more about the fostering program at Homeward Bound Dog Rescue to see if it’s the right fit for your lifestyle. Please support non-profit Rescue organizations in your community. Each dog rescued requires expenses such as vet checks, training, and fostering. Programs like Homeward Bound rely solely on their volunteers, donations and support from the community. If you are considering a dog, #AdoptDontShop first because #RescuesRock. Or if you choose to purchase a particular breed like a pug puppy, please go to a responsible registered breeder.